I'm am really loving this nail combo. I am pretty mesmerized by it actually. I couldn't stop staring at it during dinner. I bet my boyfriend thought I was quite annoying. Anyway it is Revlon's Sparkling ( which I am so impressed with alone- I have worn three coats on my nails for about a week now and am smitten) and Deborah Lippmann's Shake Your Groove Thing. I believe Sparkling is a DL dupe too! 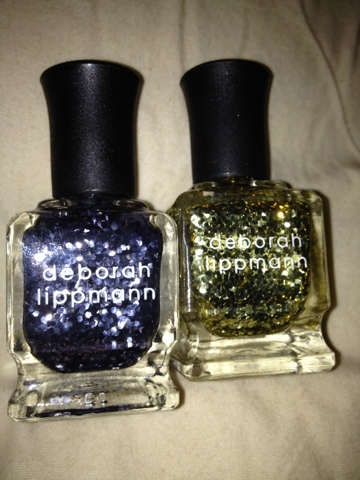 Honestly though, $20 for DL vs. $6 for Revlon, I can't lie, I live you Deborah Lippman, but I will go for the Revlon! I have over 10 DL's and I love love love but for $6 and great quality it's a no brainer. Soooo... 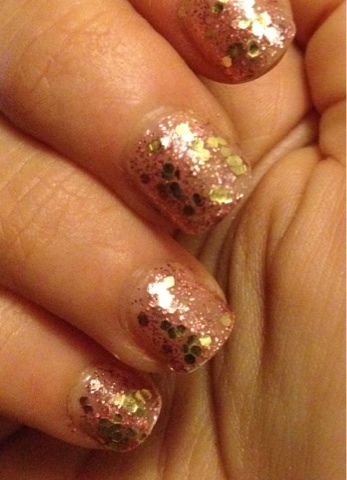 This is 3 coats of Sparkling with 1 coat of the DL over it. The DL gives a metallic finish to it, like gold pailletes. I believe Milani has a gold dupe for this as well if you don't want to splurge. Love it! Bet it is going to be a bloody nightmare it get off though! 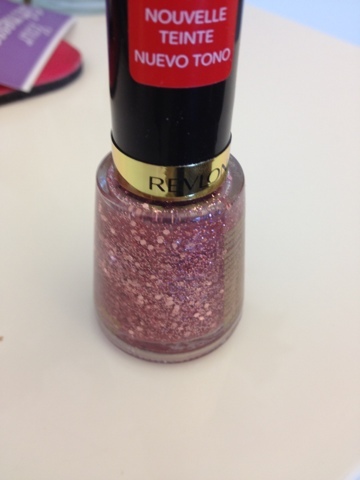 Revlon's sparkling is a dupe for Essie's a cut above. I have Essie's and the swatch looks identical. Beautiful! I have it and am wearing one coat over essie's punchy pink. I'm trying it alone next. I got the Revlon Sparkling, and since I'm a cheapo I bought Essie's Lux Effects Collection in As Gold as it gets, instead of Deborah Lippman, so the gold shimmer was smaller, but just as pretty. I look at it all day. and sorry but I think it actually looks better! gasp! I can't believe it myself.